booking agent. IBE will be handling all of Elijah Prophet US & Worldwide bookings. Prophet received the "Best New Artist" award in the Stone Love star search contest. nomination for "Best New Reggae Singer". radio stations throughout Jamaica, Europe and the US. 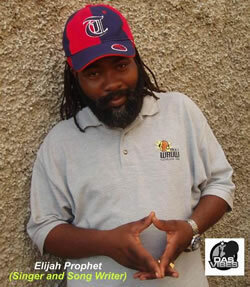 Elijah Prophet for your event, please contact Island Boy Entertainment.